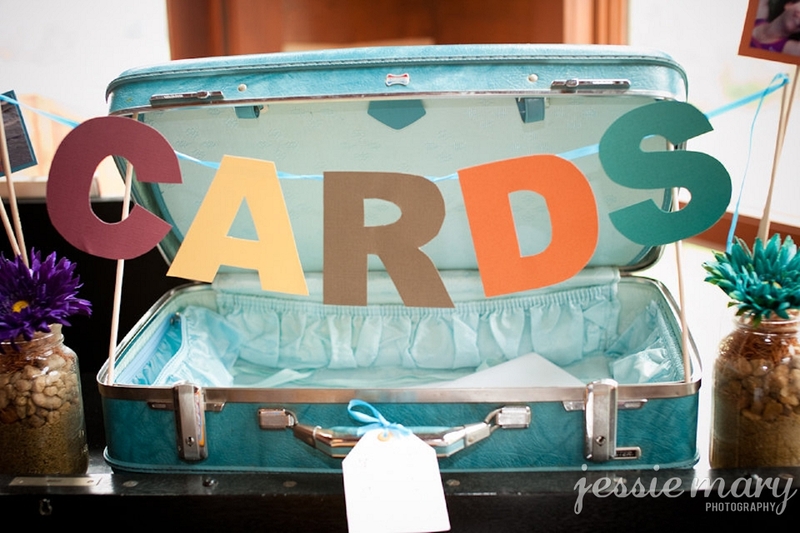 I knew I wanted to do something unique to hold the cards we received from guests at our wedding. I also didn't want to really spend any money on something that was only going to be utilized once. 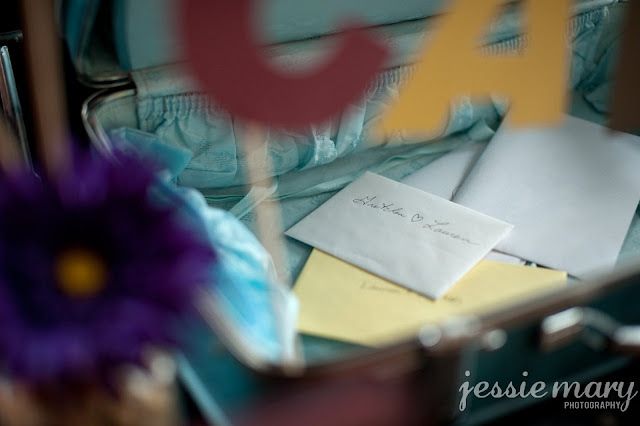 So I used what I already had in our house, a vintage blue suitcase. Thin, twelve inch dowel rods propped the suitcase open. The sign was created from textured card stock, the same card stock used for the butterfly topiaries, and hot glued to ribbon. 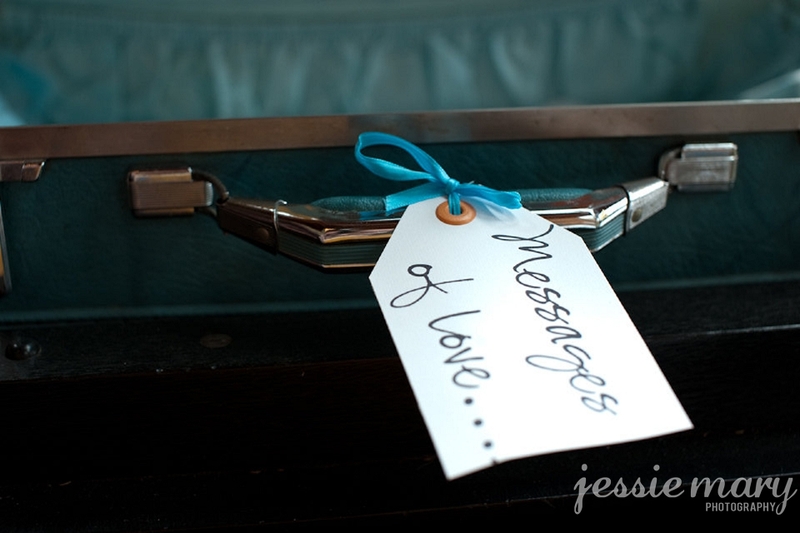 I tied a simple tag with the words "messages of love" to the handle. We received so many wonderful comments from our guests remarking that it was "unique" and "so us"! 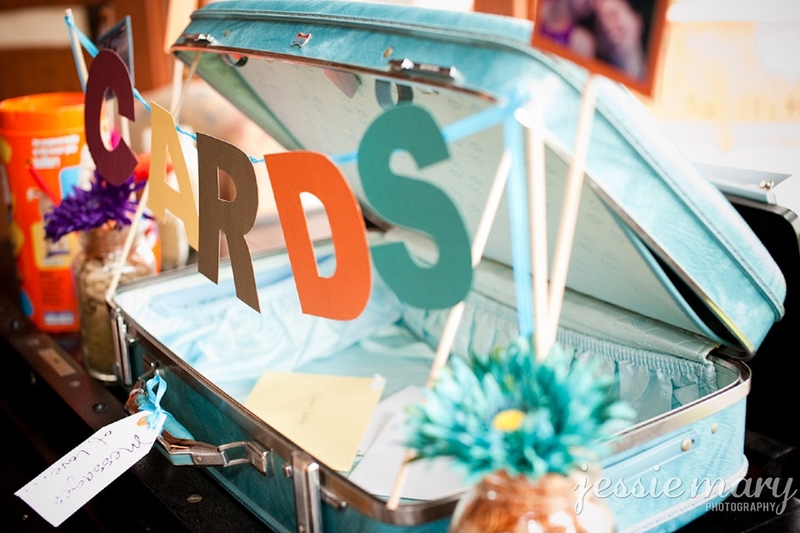 This idea would be great for a birthday party, baby shower, as well as a retirement luncheon. The possibilities are endless!